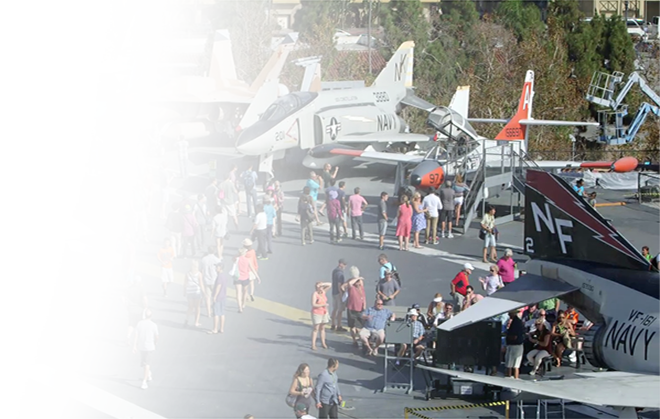 Midway offers groups a unique once-in-a-lifetime experience with a private one-hour tour led by one of Midway’s Docents. See the ship like never before! 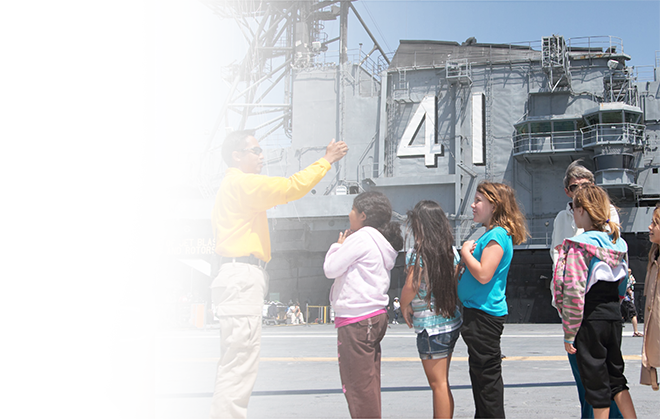 Our Docent staff is 100% comprised of Midway volunteers, therefore times and days are limited and non-negotiable. 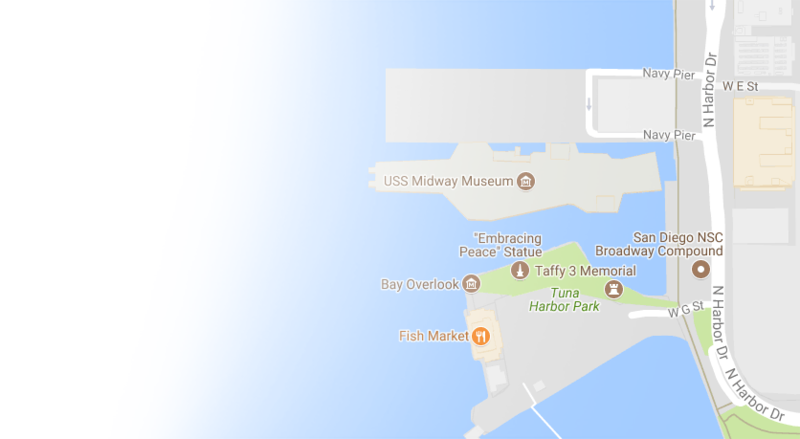 Once a tour is requested, the Docent assigned to lead the group will select the areas that will be toured based on the size of the group and space availability. 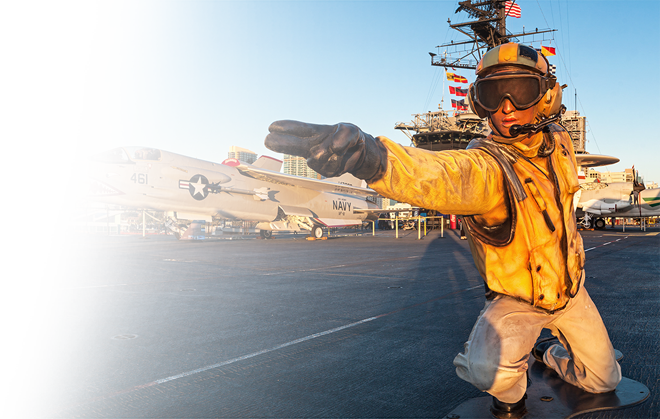 Following the Docent-led tour, guests are free to stay onboard and continue with the guided audio tour narrated by Midway sailors to enhance your visit even further. 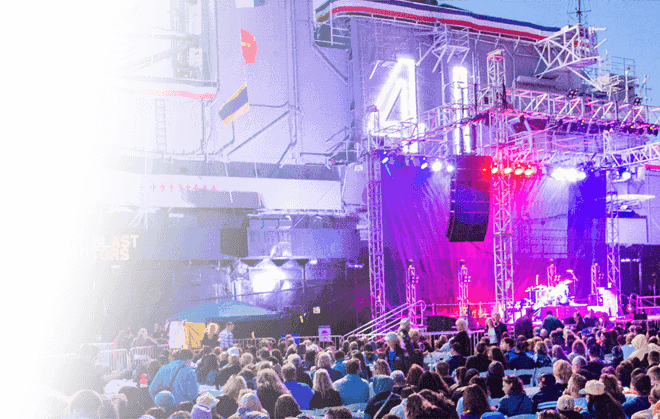 Also, enjoy the “Voices of Midway” film detailing the events of the Battle of Midway! All Docent tours are one-hour in duration and offered at select times and dates. Please review the times and guest capacities below to determine what will best fit the needs of your group. Rate includes the docent tour, as well as regular admission to the Museum on the same day as the tour. Tour payment must be received no later than two weeks prior to the date of the tour. We accept checks, cash, Visa, American Express and MasterCard. Reservations are required and must be made at least two weeks in advance. 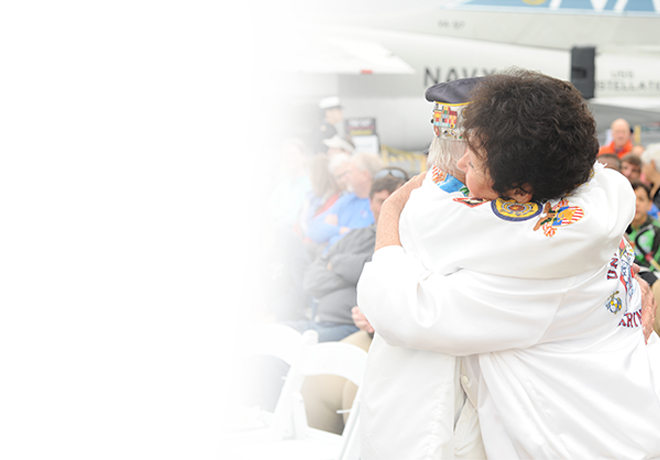 Docent tours are non-refundable, cancellations must be made two weeks in advance. Ready to make your reservation, or do you have any questions? We want to hear from you!